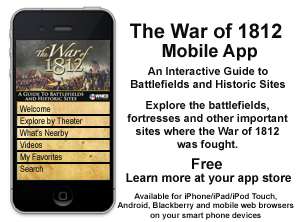 These lesson plans were designed to enhance the educational value of the PBS program The War of 1812 for students in elementary, middle and high school. Every attempt has been made to ensure that the plans are congruent with bi-national learning standards (42.3 KB) . The lessons typically use program segments and broad thematic strands. They integrate and honor the contributions of all groups involved in the War. Many of the activities are multidisciplinary, incorporating areas such as English Language Arts, music and art. Teachers should feel free to adapt and modify any lesson to the needs of their students, regardless of grade level. Most lessons have been written with the assumption that any teacher, at any grade level will be able to adapt them to fit their specific classroom needs. We include the following special note to our Canadian educators; while the learning expectations for the War of 1812 reside at grade seven, we have included them across all three levels in the matrix. It is our hope that you will sort through the lessons and select those that you might find useful, regardless of what level you teach. 1. 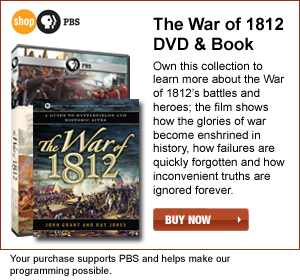 According to your curriculum, preview the relevant section(s) of The War of 1812 prior to showing it to your class. 2. Skim through all of the lessons. 3. Decide which lesson(s) are the best fit with your content and the grade level of your class. Be sure to take a look at the “Instructional Resources” section for such specialized components as computers with Internet access, project based software, or specific handouts. 4. Check out the “Lesson Resources” for many valuable print and electronic supports that you can use to enhance both your own and your students’ understanding. 5. Assemble your materials, click on the program, and have fun teaching and learning! William Henry Harrison Makes the Front Page!